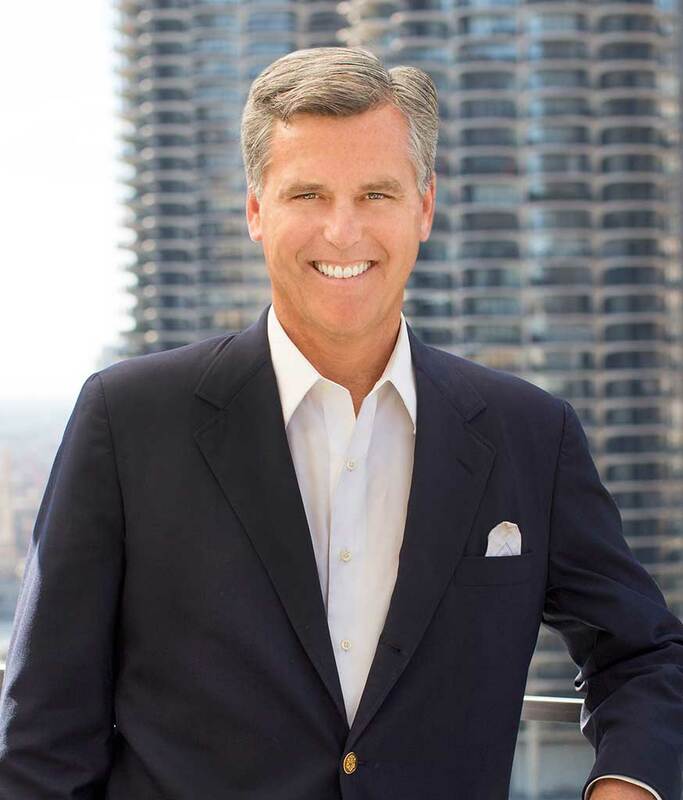 A hotel-real estate entrepreneur and private equity investor, Mr. Rutledge is the Founder, President and CEO of Oxford Capital Group, LLC, an international real estate private equity, asset management, property management and development firm headquartered in Chicago, Illinois. He is also the Founder, President and CEO of its primary hotel operating affiliate, Oxford Hotels and Resorts, LLC., which specializes in operating, managing and branding distinctive, high design lifestyle hotels and food & beverage venues. He is also the Co-Founder, Chairman and CEO of Oxford Living, LLC, its Canadian senior housing management and investment platform. He is also Founder, President and CEO of Oxford Residential, LLC, its multifamily development affiliate. Oxford's current portfolio includes a growing collection of upscale, upper upscale and luxury lifestyle hospitality brands including Godfrey, LondonHouse, Julian, Essex, Essex on the Park, Felix, Cass, Claridge House, The Rand, Versey, About Last Knife (ALK), IO Supper Club, Juniper, LH Rooftop, SX Skybar, Ruka, WTR and SpaBoutique. Oxford’s geographic focus includes Canada and the Top 25 US MSAs including: Boston, Chicago, Los Angeles, Miami, New York City, Portland, San Francisco, Seattle, metro Washington D.C., and other select markets with unique attributes including Charleston, SC, New Orleans, LA, and various markets throughout Florida. Mr. Rutledge co-founded his first company, Oxford Realty Corporation at age 24. He co-founded his second company, Oxford Capital Partners, Inc. during his second year of business school in 1994 while simultaneously completing an extended internship at the Wall Street mergers & acquisitions and merchant banking firm of Wasserstein, Perella & Co. His third company, Oxford Capital Group, LLC, a successor company to Oxford Capital Partners, Inc., was founded during the 2004-2006 timeframe. Oxford Capital was initially founded as a platform to take advantage of what he and a partner felt was a compelling secular arbitrage opportunity resulting from the dramatic overbuilding in the nation's property markets, particularly the lodging sector, in the early to mid-1990's. Since that time, in three major contrarian buying waves, starting during the RTC crisis in the early 90's, again after the dotcom bubble burst / September 11 and after the “Great Recession” of 2008/2009, Oxford has participated in approximately $3B+ of real estate projects, with a primary focus on hospitality (13,000+ hotel rooms) and hospitality anchored mixed use projects including multifamily, retail, parking, senior housing (approximately 3,000+ units) and other operationally intensive forms of real estate. Oxford led transactions have generated in excess of $1.2B of profits for its principals and investors across three distinct lodging cycles since the early 1990’s. Notable Oxford projects include The Godfrey Hollywood, The Godfrey Hotel & Cabanas in Tampa, Florida, LondonHouse, a luxury lifestyle hotel and two stories of upscale retail at 360 North Michigan Avenue in Chicago, The Doubletree Metropolitan and The Lexington hotel’s in New York City, The National Conference Center-Lansdowne, VA, Godfrey Hotel-Boston, The Langham Chicago Hotel at the former IBM building, The Hyatt Chicago-Magnificent Mile, Hotel Felix-Chicago, The Godfrey Hotel-Chicago, Hotel Essex, Essex on the Park Apartments, Hotel Julian-Millennium Park, The Hotel Cass-Chicago, Hotel Versey-Chicago, Claridge House-Gold Coast Chicago, The Rand Tower Hotel-Minneapolis, MN ,Doubletree Hotel and Conference Center-Chicago North Shore, Renaissance North Shore-Chicago, Hyatt House-Northwest Chicago, The Doubletree Wilmington Hotel, The Marriott Southeast Portfolio: Charleston, Columbia and Rock Hill, South Carolina and Matthews, North Carolina. Oxford is also an investor in The Abbey Resort and Avani Spa-Lake Geneva, WI; the Aspen Club & Spa and Auberge Residences in Aspen, CO; Lakeshore Sport & Fitness Chicago and Lincoln Park; Jamestown Assisted Living; Plymouth Real Estate. Oxford was also an investor in The Pan Pacific Hotel-San Francisco, The Sir Francis Drake-San Francisco, The Hyatt Regency Jacksonville Riverfront and a portfolio of five Japanese hotels in Tokyo, Osaka, Kobe, Okinawa and Fukuoka. The Canadian senior housing platform, Oxford Living, LLC, consisting of 9 retirement communities throughout Ontario, Canada. In his role as angel-private equity investor he has invested in a number of emerging growth companies including Argo Tea Inc., Bobtail Ice Cream Co., Cal Pacific, Health Integrated, Inc., Metropolitan Capital Bank Corporation, Nymirum, Inc., Potbelly Sandwich Works, Room Service, Inc., Sunglass Outlet, Inc., Sure Payroll, Talk3, and Top Golf. John and his various projects have been nominated and/or won numerous awards over the years including, The Anti-Defamation League’s Arthur Rubloff Humanitarian of the Year, Ernst and Young Entrepreneur of the Year, Development of the Year, Redevelopment of the Year, Developer of the Year, National Hotel Development of the Year, America Lodging Investment Summit’s Single Asset Hotel Transaction of the Year, the Top City Hotel in the Continental US and the Historic Preservation of the Year award for Chicago and Boston, Crain’s' 40 under 40, and Who's Who. He has been a regular judge at the University of Chicago's Graduate School of Business New Venture Challenge and a guest speaker at Northwestern's J.L. Kellogg Graduate School of Management. Mr. Rutledge is a member: of the advisory board (and a founding investor) of Metropolitan Capital Bank Corporation; the World President's Organization (WPO), where he was Chairman of the Global Hospitality Network, and previously Young Presidents' Organization (YPO); the Economic Club of Chicago; the Commercial Club; an Emeritus member of the Auxiliary Board of the Art Institute of Chicago; The Urban Land Institute (ULI); the Advisory Board for the Polsky Center of Entrepreneurship at the University of Chicago's Graduate School of Business; and St. Chrysostom’s Episcopal Church of Chicago. He is also a Trustee of The Chicago Architectural Foundation and a member of the Board of Directors at Ann & Robert H. Lurie Children’s Hospital of Chicago. A graduate of New Trier High School in Winnetka, Illinois, Mr. Rutledge graduated from the University of Michigan, Ann Arbor with a bachelor’s degree in Economics and an emphasis in Real Estate. He received his MBA from the University of Chicago's Graduate School of Business with an emphasis in International Finance and Economics. He has also studied at Northwestern University, Harvard Business School (President’s Program) and Oxford University (Christ Church). A devoted family man, John tries to live by a personal and professional ethos of integrity, discipline, hard work, a collaborative and empathetic style, a positive attitude, a growth mentality, an enthusiastic zest for all aspects of life and a belief that nearly anything is possible. He is a voracious reader who loves biographical, business, social, architectural, political and military history. He also enjoys chess, genealogy, art, cinema, classic boats, architecture, nutrition, the scouting movement and sports of all kinds including: triathlons, sailing, skiing (helicopter and racing), waterskiing (slalom and barefoot), racquet sports (tennis, platform tennis and a little squash), golf (not very often or very well and thus least proficient sport), swimming, scuba diving and world (and often adventure) travel, with highlights including a trip to the North Pole, scuba diving off the great barrier reef of Australia, elephant trekking in the jungles of Thailand and Africa, skydiving in New Zealand, helicopter skiing in the Rockies and a "trip around the world" just before business school.